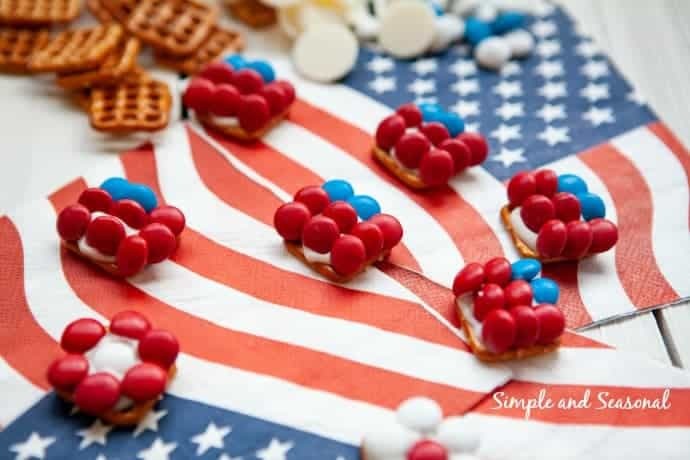 Add a festive touch to your summer table with these Patriotic Pretzel Bites. Every bite is a combination of sweet and salty! 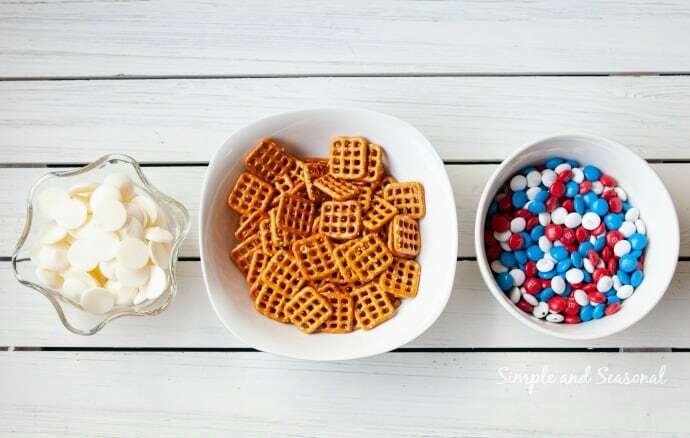 In one month, we will be celebrating our nation’s birthday, and the table will be covered with red, white and blue treats of all kinds. While I’m not a fan of the heat, I do love summer! There’s just something about the freedom from regular schedules, the sound of kids splashing in the pool and the long evenings-it makes me smile. 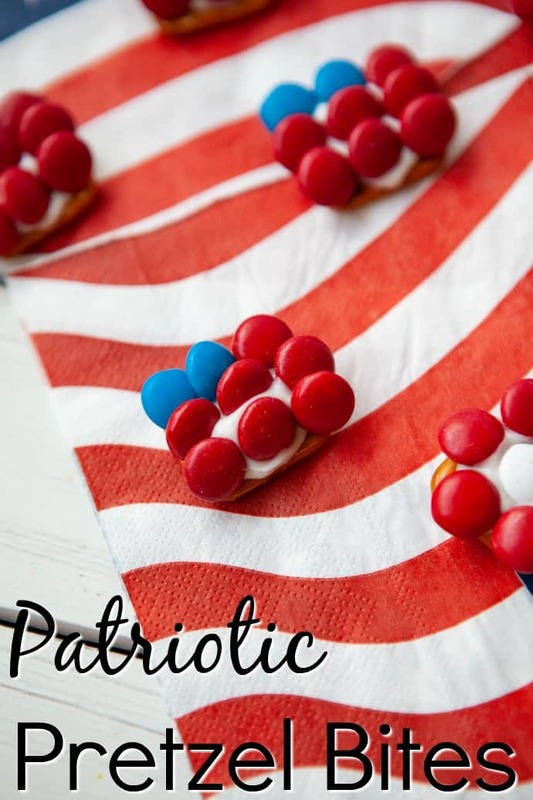 Try a quick batch of Patriotic Pretzel Bites for your summer BBQ’s and pool parties! Start with placing the candy melts on top of the pretzels and placing them in the oven for a couple minutes to soften. Then all you have to do is let them sit for a few minutes to cool and harden. Ta Da! 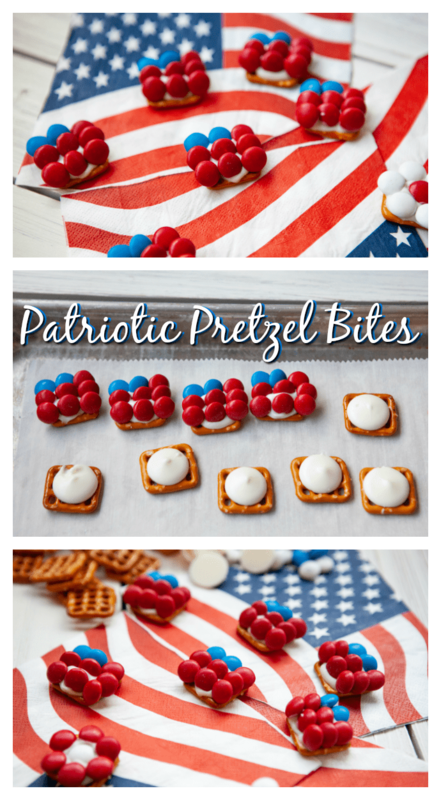 Patriotic Pretzel Bites! You might remember seeing the Candy Cane Pretzel Bites I made for Christmas as well. I think I might just start making these for every holiday! 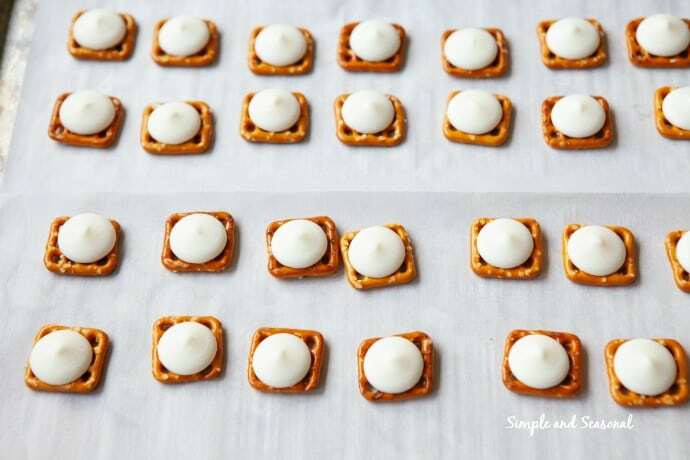 Place pretzels on the baking sheet to form rows. Put a white candy melt in the center of each pretzel. Place the tray in the oven for about 2 mins, or until the candy melts are soft. Watch carefully. 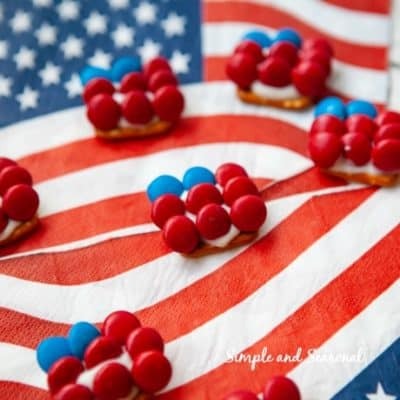 Arrange candies to look like a flag by placing them at a 45 degree angle. Arrange the candies to look like a flower by placing them flat down starting with the center and then going around. Let sit for about ten minutes to harden. Enjoy! Aren’t they cute? This is a great recipe to let the kids get involved in as well. Use their little fingers to get those tiny candies in place. It’s also a great opportunity to talk about the flag, our nation’s history and why we celebrate Independence Day. 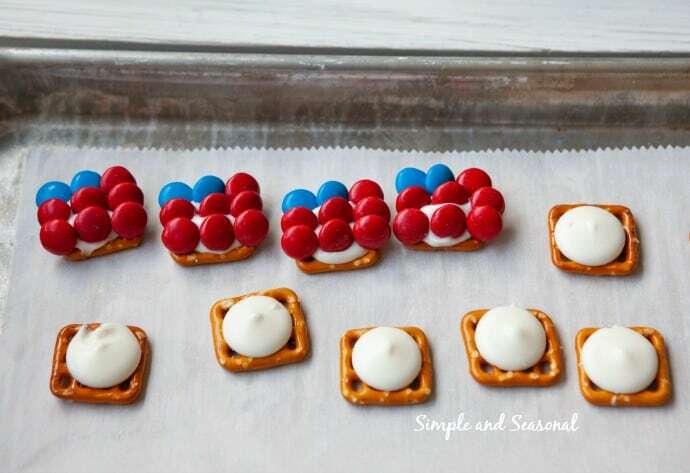 Don’t forget to pin these Patriotic Pretzel Bites for later! 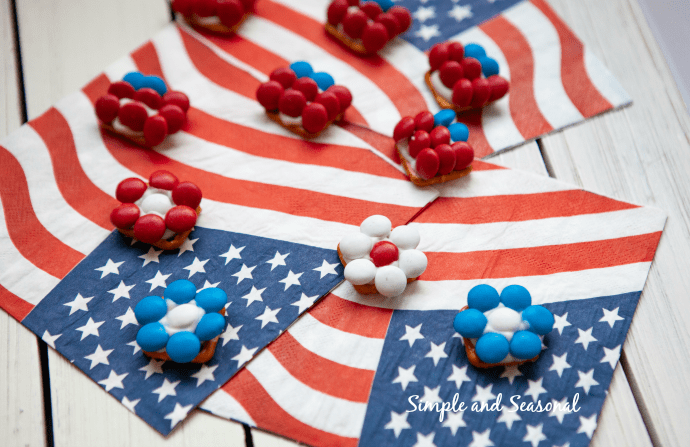 Click here for more great ideas for 4th of July and other patriotic holidays!